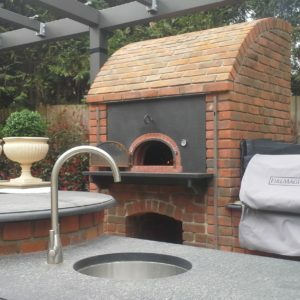 Outdoor kitchens have moved on by leaps and bounds over the last 5 years, with sleek modernist schemes at one end of the budget spectrum and man shacks at the other. They are entirely scalable depending on budget and expectations so compromises on materials and appliances affect the overall spend. Ultimately what you want to cook will determine what appliances you need. 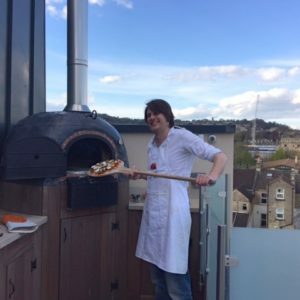 The real foodies out there may spend hours smoking and grilling at very precise temperatures to get the best out of their food whilst others just want to throw something on a BBQ and be happy with the result. You may want something small if there’s just two of you or something more elaborate if you’ve a whole family at home. 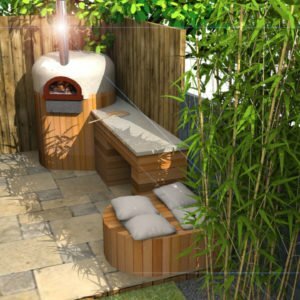 Think about your budget, where in the garden you’ll position the build so its convenient and whether you really need a sink or fridge built in as these will require insulated plumbing and safe wiring. Think about the materials and also potential nuisance to your neighbours. 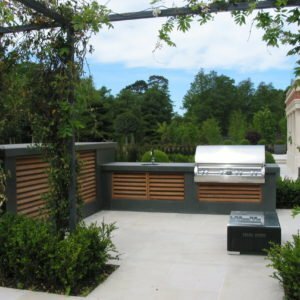 A lot of our work comes from high-end developers and luxury house builders who have built private houses or flats and have had requests for outdoor kitchens from their clients. 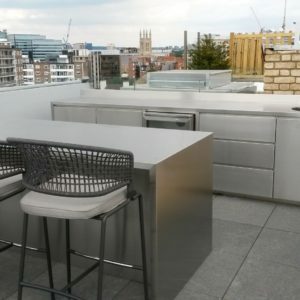 A recent example is the stainless steel rooftop bars we installed for penthouses on an award-winning development on a bend in the river in Hammersmith, London. 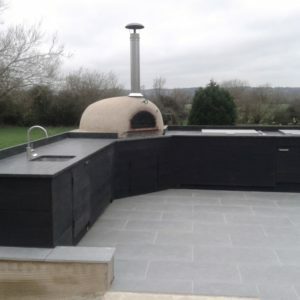 A significant number are for private customers contacting us directly who have more limited budgets but who appreciate the quality and breadth of our projects. 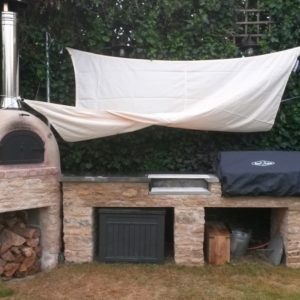 With origins in sunny California in the US , you would think that we were kidding ourselves about our climate to even contemplate spending large amounts of money on trying to cook outside. 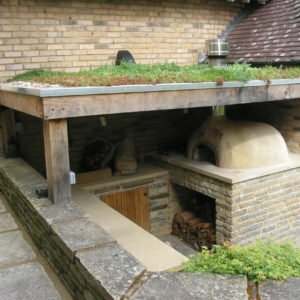 Some of our clients do want some sort of roof covering but most want quite elaborate schemes plein air, not worrying about a spot of rain occasionally! 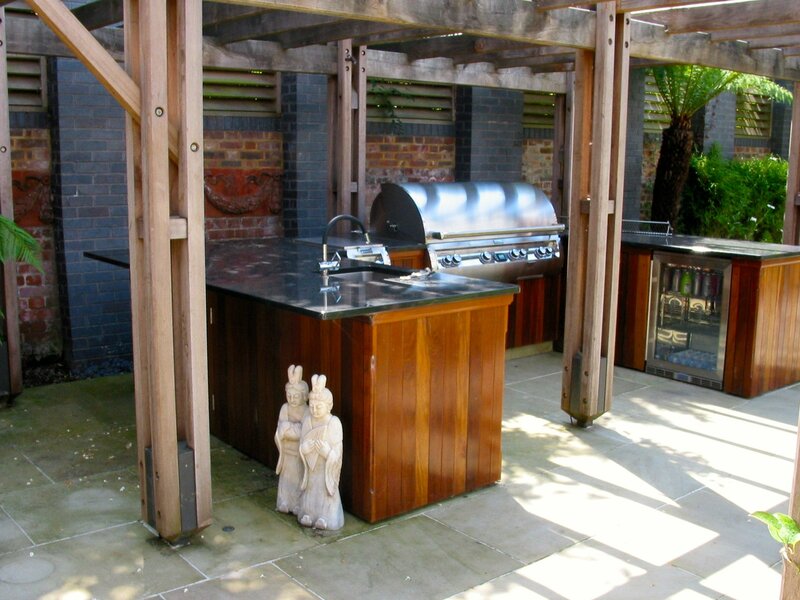 With businesses trying to capitalise on their space, the outdoor kitchen concept can help diversify the range of food available especially with the limited space available in most commercial kitchens found in cafes and pubs. 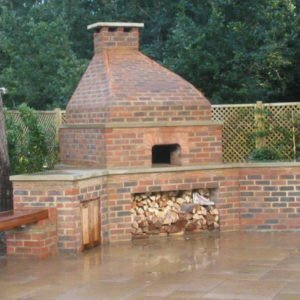 A dedicated space outside, covered or not, can bring focus to a garden and bring fire elements safely within the chefs grasp, allowing for a different style of cooking- fast and furious at high temperature found in pizza ovens and grills or low and slow found in smokers, Kamados and falling retained heat in wood-fired ovens. 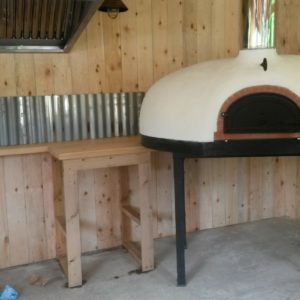 A great new example of this is at Heligan gardens in Cornwall where we installed a large wood-fired oven in a new covered area next to the restaurant to help take the strain off the very busy kitchen at peak times in the summer. 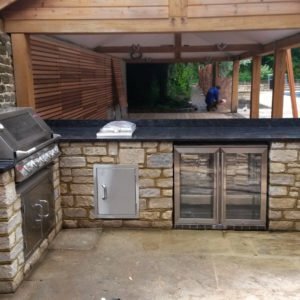 Outdoor Cooking space, Hethe Oxfordshire.